With free loaner vehicles, deductible assistance, and a host of other money saving perks, your wallet might be even happier than your car! Ready to capitalize on hail at your dealership? We turn small dents into big dollars, and a revenue windfall for your store! From technician staffing to crafting an effective marketing strategy, we do more than fix dents, we help you dominate the market! WHETHER YOU HAVE 1 CAR OR 1,000! The #1 Choice for paintless dent removal and auto hail repair service, and the hail damage car insurance claim expert!. Need a quick hail estimate? Try our new online Paintless Dent Repair Calculator? Try Our New Online Dent Repair Tools! Schedule a free car hail damage estimate or calculate paintless dent repair cost online! ​Welcome to Dealer's Hail & Specialty, the nationwide leader in paintless dent removal and auto hail repair services. For your convenience, we now have online appointment scheduling for all locations! Schedule a free estimate for hail damage repair or other dent removal service, even make an appointment for our Mobile Estimate Service, done at your home or office free of charge. Get auto hail damage and paintless dent repair estimates on your schedule, call us or click here to visit our online appointment book! Wondering if your car's hail damage is bad enough to file an insurance claim? Maybe your insurance adjuster wrote a hail repair estimate but it seems too low? With our new Instant Online Dent Repair Calculator you can now answer these and many other questions about the cost of paintless dent removal and get free auto hail repair estimates right on our website! Click here to use our instant online paintless dent repair calculator now! For more information about paintless dent removal service, or if you have questions about insurance claims or another part of the auto hail repair process, please call us toll free at (855)-5HAILFIX, or click here to email us. 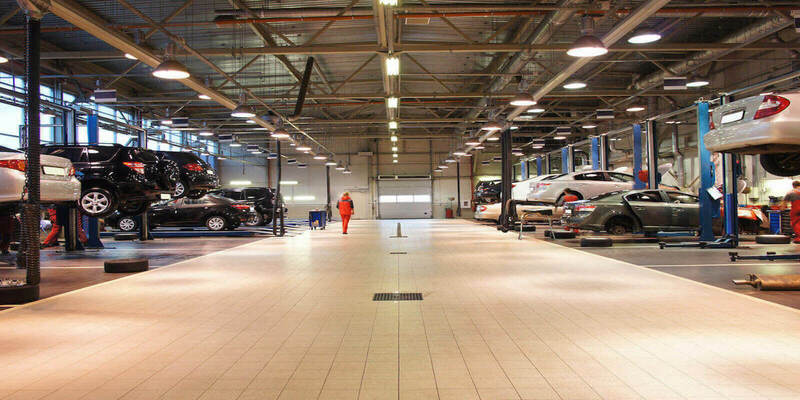 To get an auto hail repair estimate or if you have a question about your car's damage, please feel free to bring your hail damaged vehicle by one of our current auto dent removal locations at your convenience. For additional paintless dent removal and auto hail repair resources, check out some of our blog articles or read our Paintless Dent Repair and Hail Insurance Claim Frequently Asked Questions. If we can assist you in any way please call us at 855-5HAILFIX today! Americas's PDR Hail Repair Experts! Schedule a free Paintless Dent Repair estimate today! 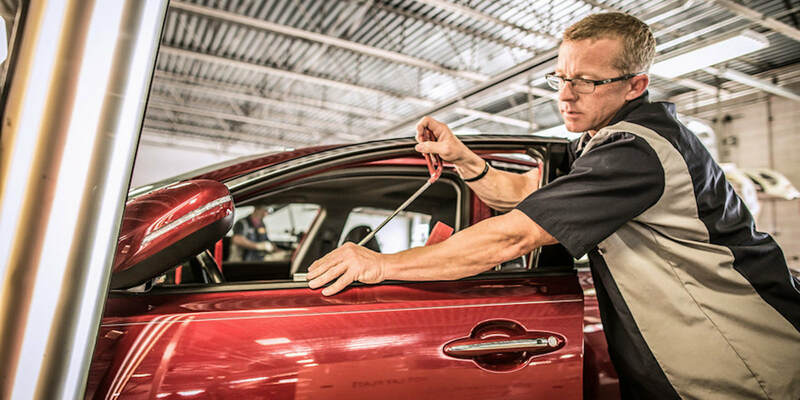 Paintless dent repair, also known as paintless dent removal or PDR for short, is a highly skilled method of auto body repair used to remove minor dents, dings, and hail damage from the panels of an automobile without damaging the existing paint or finish. The process is also used to repair larger dents and creases, as well as minor collision damage. Using special tools and lights, a PDR technician carefully applies pressure to the underside of a damaged panel by making a series of gradual pushes, slowly releasing the tension created by the dent and allowing the metal to relax back to its original stamped shape. For more about paint free dent repair, check out this blog post or read our PDR and auto hail damage frequently asked questions here. Does all or part of your car dent repair work involve an insurance claim? Dealer's Hail & Specialty has you covered! Over the years we have worked with numerous insurance companies and fleet managers. From developing a universal PDR cost and estimating process to helping build and scale in-house Catastrophe Response Teams, our staff is uniquely familiar with the specific procedures of each organization. 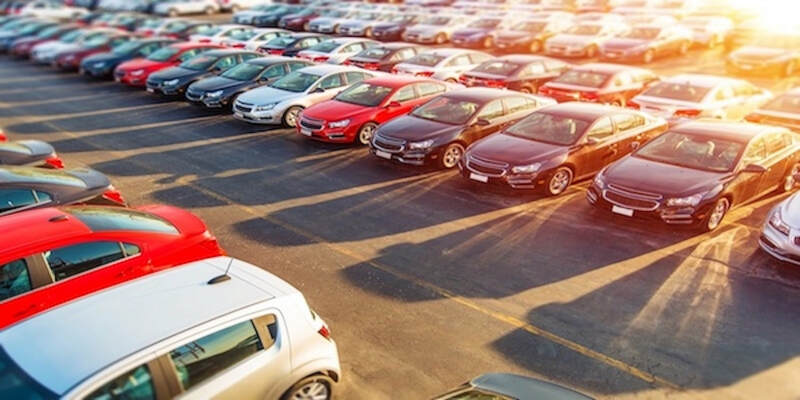 Additionally, most major national and regional insurance companies have recognized us a Preferred Vendor for PDR and auto hail repair, allowing us to significantly reduce the time needed to process CAT claims and repair hail damaged vehicles. No matter who your policy is with, if you have a hail damage insurance claim or a question about any part of the process, please call us today. Our team of Hail Damage Insurance Claim Experts will coordinate directly with the insurance company and one of our PDR dent repair managers, streamlining the process to make sure your experience with a hail damage insurance claim or paintless dent removal is pleasant, short lived and completely hassle free. Dealer's Hail & Specialty is a Preferred Vendor for auto hail repair with all major insurance companies!